Janet just started this journey into the medical field two years ago. 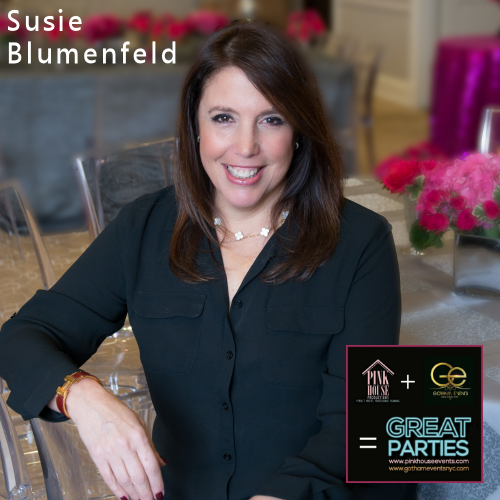 Coming from a sales and marketing background, one thing this company has given her is the sense of being a part of the community. In her new role with AFC, Janet enjoys being able to help people experience excellent service. Ken Goldberg, director of the facility, joined us for our interview, and explained that their mission to provide the best healthcare possible. AFC Urgent Care treats a wide range of services from bumps and bruises, to coughs and stitches. They also provide services for employers – such as drug screening, occupational health and worker’s compensation. “We have customized plans for different businesses,” Ken mentions, “we also offer PPD testing and pre-employment physicals.” Being most employers and insurance companies encourage their employers to get physicals and wellness checkups, AFC Urgent Care makes it easy to schedule an appointment online. With the area being very diverse with different ethnicities and cultures, AFC Urgent Care provides immigration physicals. 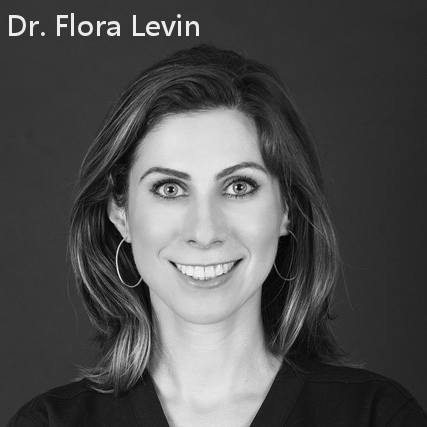 The medical director is a USCIS Designated Civil Surgeon certified to administer immigration exams. This is a step for an anyone who’s seeking citizenship or a green card. Ken also came from a different background. After working in corporate finance, he wanted to do something different. He heard many positive things about AFC Urgent Care facilities, and decided to open the Norwalk location in July 2015. “We have three main focuses here,” adds Ken. 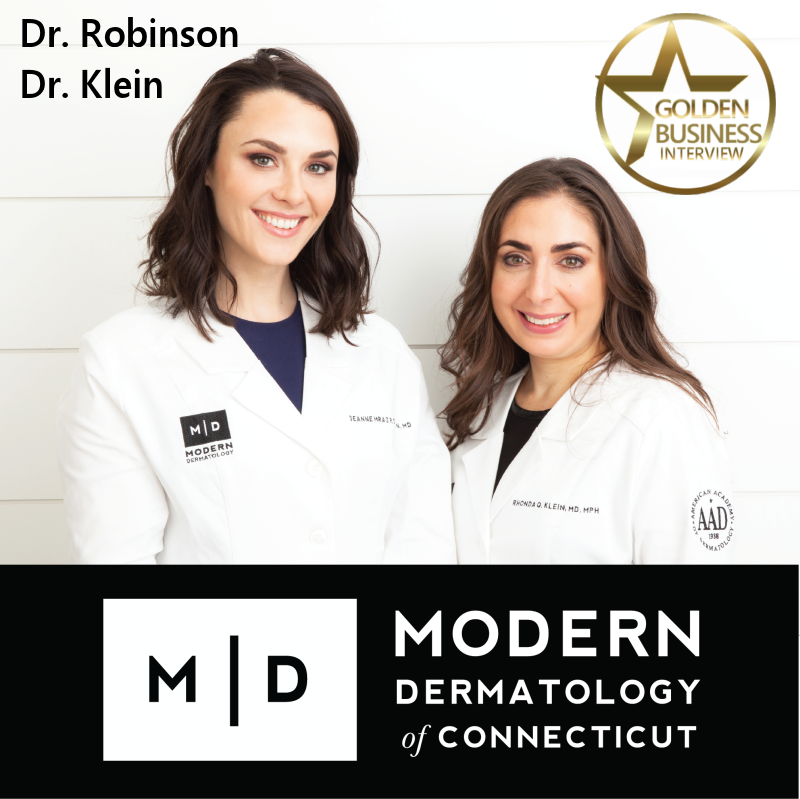 “Our team of medical providers and employees, our facility, and the convenience of our location. We want to provide the best possible health care while giving each patient a personal connection.” Another thing that sets them apart is that every patient receives a follow-up call within 24 hours of their visit. “Most people don’t expect that and appreciate the personal touch” says Ken. Janet and Ken love being part of the community. They are members of several chambers of commerce, enjoy sponsoring events, visiting schools, and providing wellness screenings and blood pressure checks to local businesses. It’s so nice to see a group of individuals that are passionate about what they do. I was also able to meet some of their in-house physicians and staff. Everyone seemed to have a smile on their face. I figured it’s because of the giant bowl of dum-dum lollipops near the exit. I couldn’t help but take one or two. “The adults take more of the lollipops than the kids do,” said Janet. 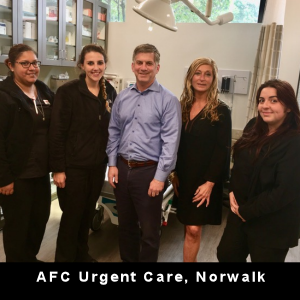 To find out more about AFC Urgent Care Norwalk, visit their website at www.afcurgentcarenorwalk.com or stop in for a tour at 607 Main Avenue, Norwalk.